“He who saves one life saves the world”..
Why a post about a Nepal Children’s Charity on a website about Macau you may ask? It’s a personal thing. 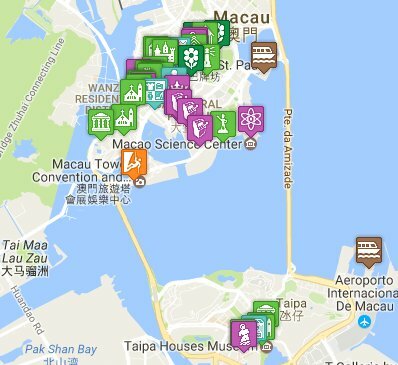 This website is labour of love from me, an Englishman, who got to know about Macau through meeting my wife. I have come to know, and love it over the last 10 years (my son was even born there last year). We are now permanently based in the UK, and it always surprises me how little most people know about Macau. This is why I set up this website initially – from a desire to raise the profile of Macau among Western travellers. Yes, but why Nepal? As I said, it’s a personal thing. My sister is currently working as a volunteer with the Chora Chori charity in Kathmandu. They do fantastic work rescuing Nepali children from abusive situations in Nepal and India. They provide help in dealing with their trauma, and where they can they reintegrate them with their families and communities. Where this is not possible, they provide for the children’s care, education and training until they can look after themselves as young adults. They also bring child abusers to justice. Chora Chori are currently running a fundraiser to help cover the operational costs of their Children’s Refuge and Rehabilitation Centre in Kathmandu. Any donations made between 27th November and 4th December will be doubled. More details and a registration form can be found at the Big Give microsite at http://www.chorachori.org. Rather than me try and explain further – have a look at this short video by Game of Thrones actor Amrita Acharia, who was born in Kathmandu.